In the upper middle of the tree you can see one of our chickens. 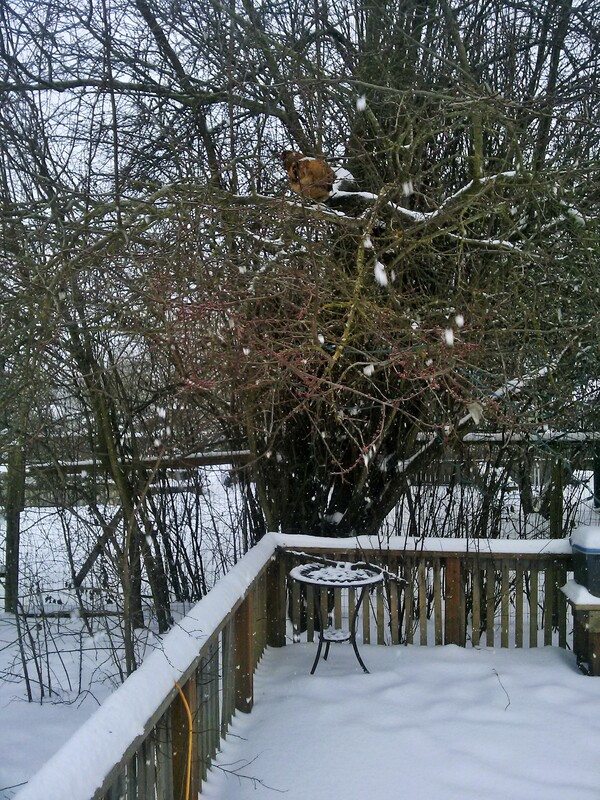 Today we have two chickens climbing in the trees, and the snow continues to fall. Hopefully we won’t have “frozen” chicken tomorrow morning!! If this was a Winter Olympics Event what would it be called? Poultry Tree Chase? Frozen Chicken Tree Climb?